Raven Software's Ze'ev Harris prepped this week's study buddy. Thanks man! 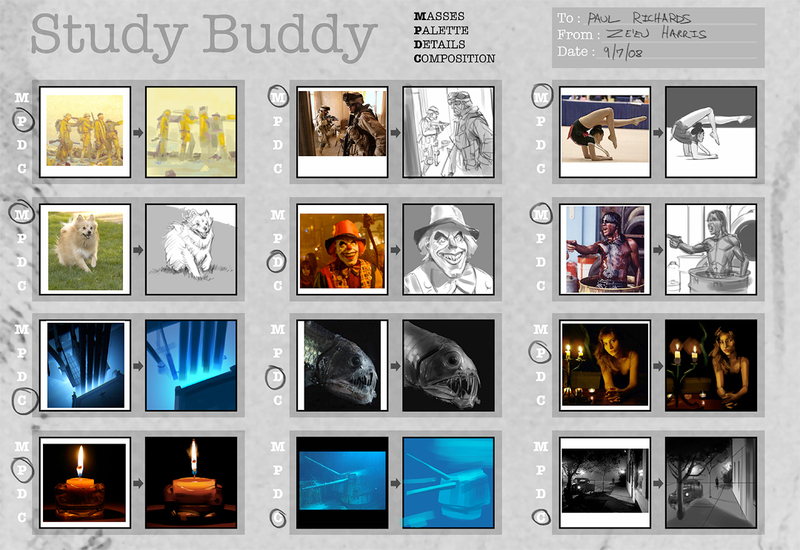 I enjoyed doing the clown, the candle and fish the most. Not sure what you wanted me to get out of the submerged tank, compositionally, but this sheet definitely got me well outside my comfort zone...which is entirely the point. Glad you liked it! The turret was off a sunken ship. Just thought the subject matter was cool.